Superdry men's Smart applique joggers. These joggers are perfect for leisure or lounging, featuring a super soft lining, elasticated waistband with drawstring cord and two front open pockets. 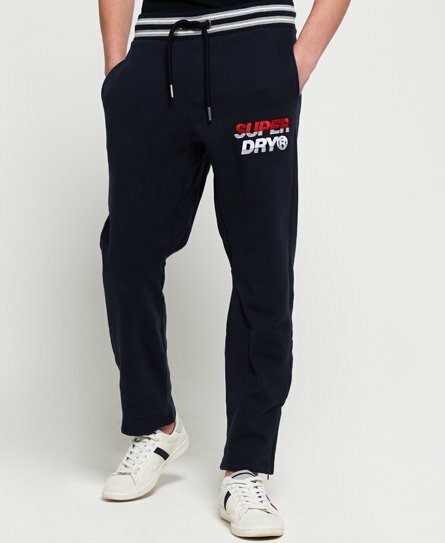 These joggers also feature zip fastenings on the cuffs and an applique Superdry logo on one leg. Completed with a Superdry logo badge on the back.